New World Library, 9781577312185, 144pp. How can individuals live a life of forgiveness in a world so full of injustice and indifference? 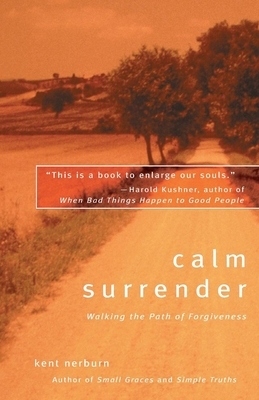 This haunting question spurred author Kent Nerburn to write Calm Surrender. The book looks at the life of an elderly woman mistreated by the healthcare system, a Native American desperate to keep the memories of the old ways alive, a woman singing softly over the grave of her young son. As the author recounts the experiences of people who have suffered much and asked for little, he takes readers on a moving journey.